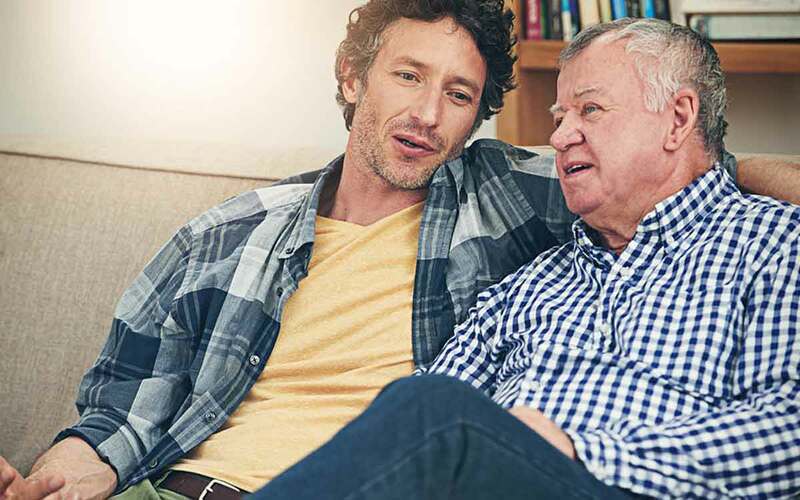 When your mother is always a few seconds too late to react to the punchline of a joke or your father stops talking on the phone because it’s too tough to hear, it is time to talk about hearing aids. Although a quarter of people aged 65 to 74 and half of people over age 75 have detectable hearing loss, getting them to acknowledge their difficulties can be another matter entirely. Hearing often declines gradually, meaning that many people may not even realize how profoundly their everyday hearing has changed. Even if they do realize it, admitting that they need hearing aids can be a big step. The following advice can help you frame your conversation to ensure it hits the right tone. When preparing to have a conversation about a family member’s hearing loss, you have lots of time to think about what you will say and how the person might respond. When preparing, it is helpful to frame this as a process, rather than a single conversation. It may take a series of conversations over weeks or months for your loved one to admit they have a hearing problem. And that’s okay! Let the conversations proceed at their own pace. The last thing you want to do is to bully your loved one into getting hearing aids before they are ready. After all, hearing aids do no good if someone refuses to actually wear them. Choose a time when your loved one is relaxed and alone. Holidays or large gatherings can be stressful and may draw more attention to your family member’s hearing problem, making them sensitive to any perceived attack. A one-on-one conversation with no background noise also ensures that your loved one hears you properly and can participate in the conversation. Hearing loss often corresponds to a broader fear about loss of independence, particularly for older adults facing physical frailty or other age-related changes. If your loved one is resistant to talking about hearing aids or denies the problem, try to understand where he or she is coming from. Be compassionate, and acknowledge how difficult this conversation can be. If the conversation starts to go south, table it until a later time. The most effective conversations about hearing loss occur when both parties work together to take the next steps. Part of your loved one’s reluctance to admit to hearing loss may be that he or she feels overwhelmed about the process of getting hearing aids. Offer your assistance to make the transition as smooth as possible. Before you talk, print out the information of hearing specialists in your area (checking with your loved one’s health insurance network if possible). Information about the commonness of hearing problems may help people who feel sensitive or embarrassed about their hearing problems. So your loved one agreed to see a hearing specialist and get hearing aids. Great! But the process doesn’t stop there. Adjusting to life with hearing aids takes time. Your loved one has new sounds to process, new devices to care for, and perhaps some old habits to unlearn. Be an advocate during this adjustment period. If your family member is dissatisfied with the hearing aids, take those concerns seriously. Continue to act as a liaison between your loved one and the hearing specialist to ensure the hearing aids work well.